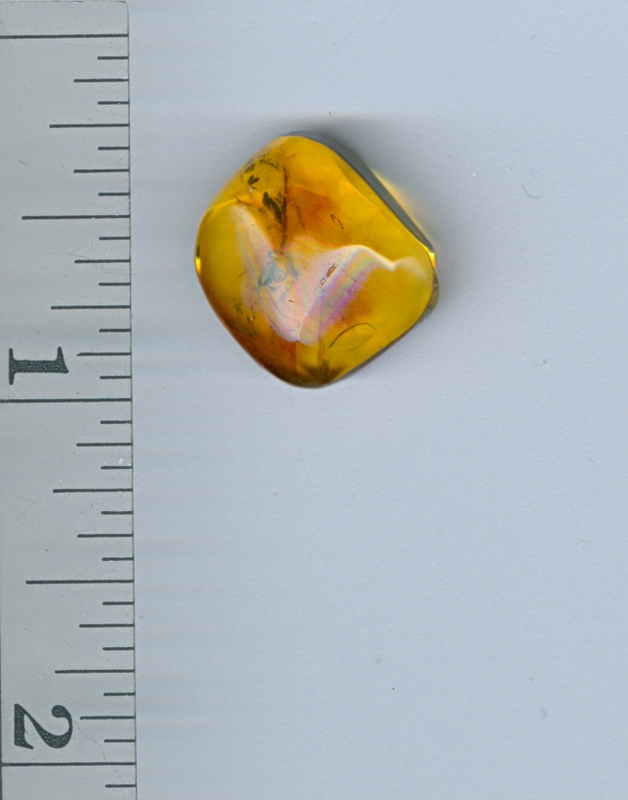 I just love it when a piece of amber tells a story. This one tells the story of a very hungry animal. The animal that the pseudoscorpion has is the larvae of coleopteran (Scirtidae). 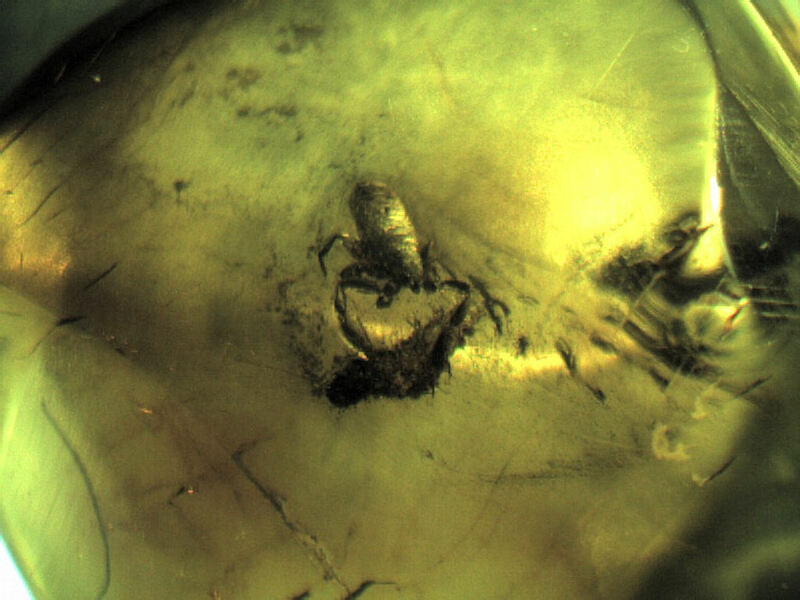 This is a very unusual situation to find unfolding inside Baltic amber. 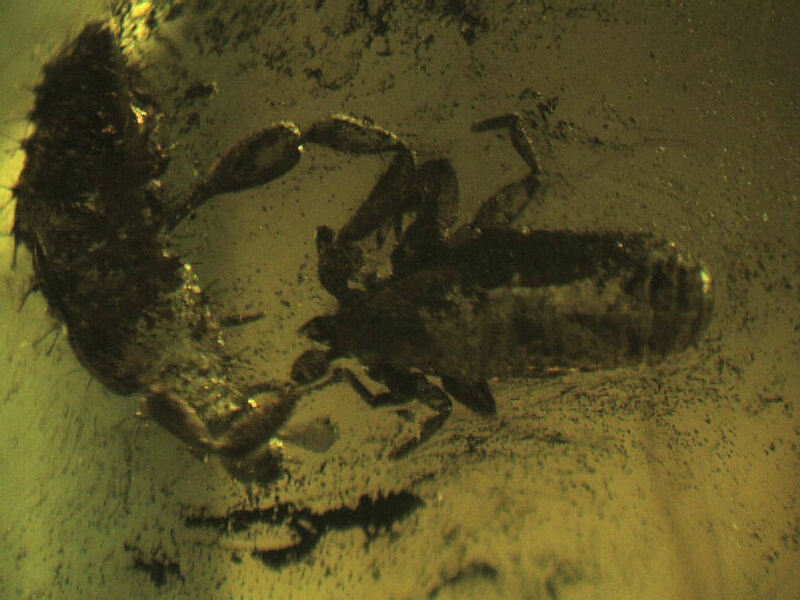 Pseudoscorpions are not very common in amber, much less when they are actually doing something. 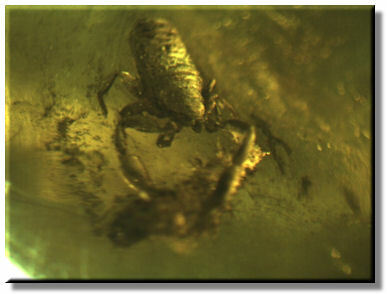 Pseudoscorpions are small animals, with their body length usually no more than 0.2 inches (5mm). 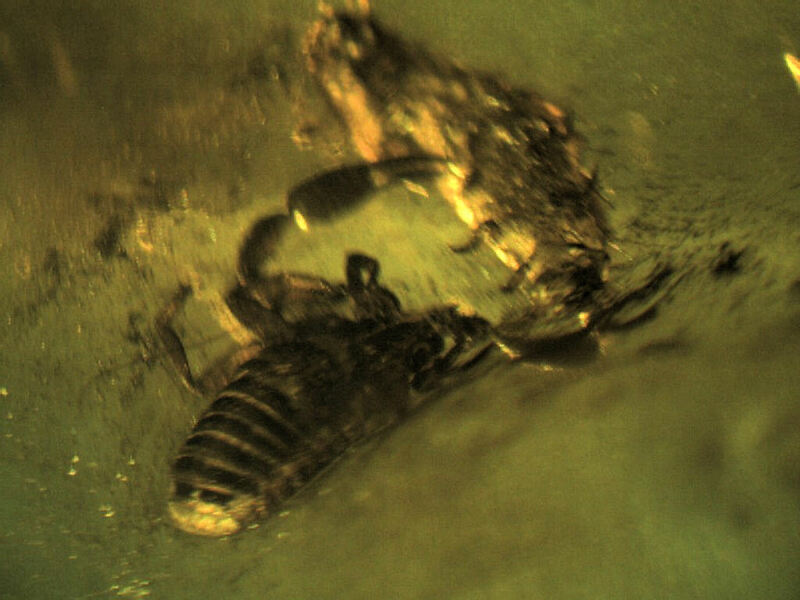 Their large pair of pincers (pedipalps) look like a crab's, catching victims and injecting them with silk from their pincers. Here you have a pseudoscorpion doing that with a larval form of a beetle, Scirtidae. This silk is also used for making cocoon. 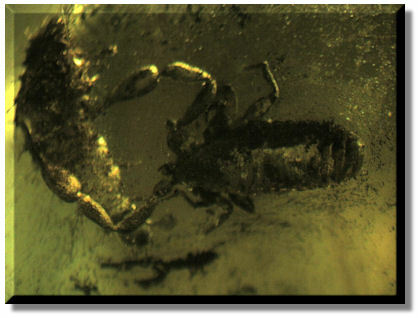 When mating, the male flourishes it s pincers and hakes its body to attract the female. She, if attracted, uses her pincers t engage those of the male. Together they move back and forth just as scorpions do. 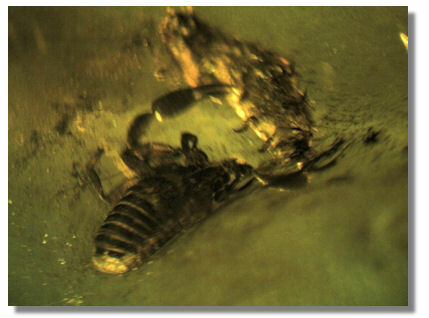 Once the male drops its sperm capsule, the female takes it for the insemination of the eggs, which are laid alongside the mother's abdomen where the young will live. The mother secretes a milky fluid to feed the young, which stay with their mother until they have matured. Adult pseudoscorpions can sometimes be seen "hitchhiking" on the back or wings of insects. 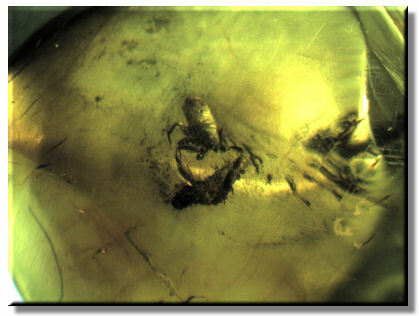 This behavioural phenomenon is called "phoresis", and some examples have been captured in amber.